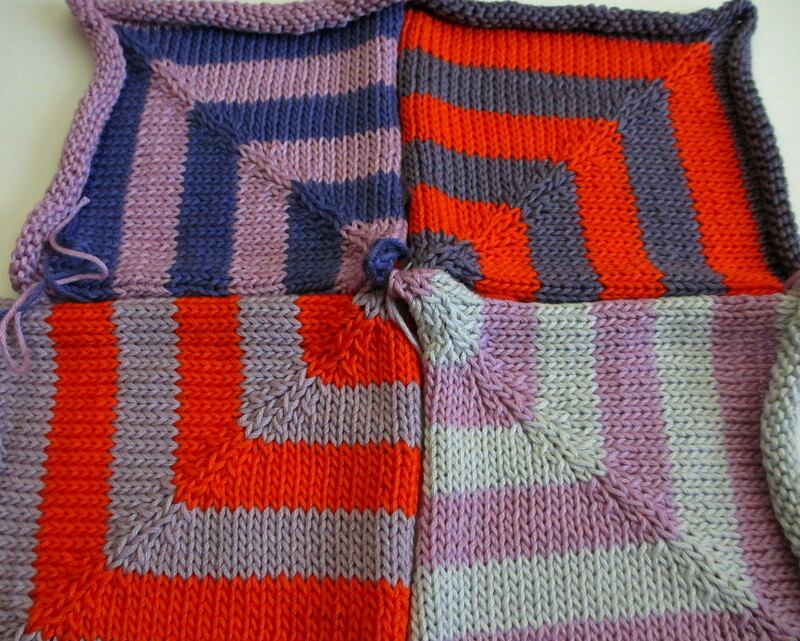 Once the cover of Horst Schulz’s book, Patchwork Knitting opens, color and texture radiate from the page. It’s as if the cover of Pandora’s box has been removed filling my creative space with numerous possibilities. In 2006, Kay Gardiner and Anny Shayne, founders of www.masondixonknitting.com published Mason-Dixon Knitting. 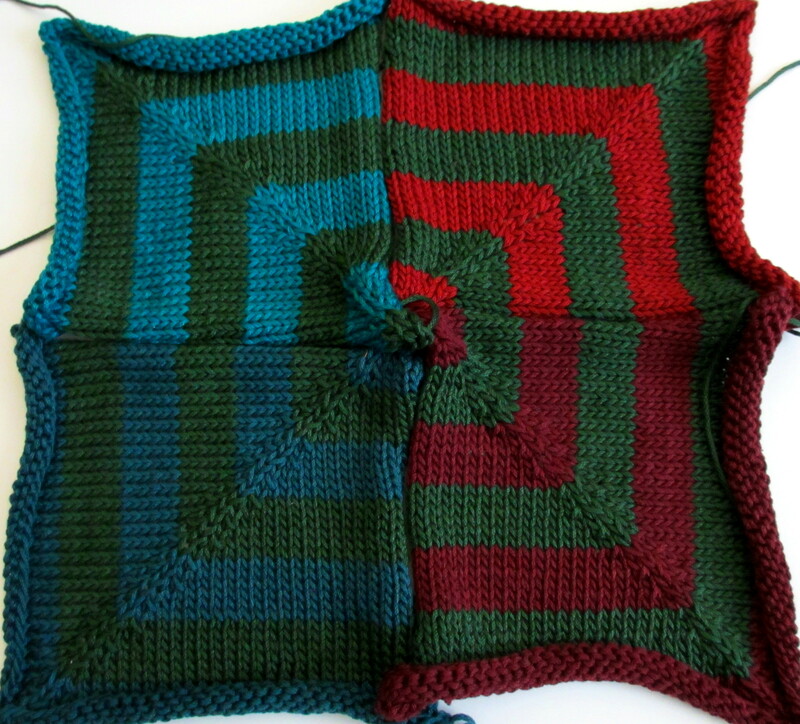 While flipping through the pages, there appeared on page 108, Mitered Square Blanket. Stripes of color playing with the geometrics of a square teased the right-side of my brain. I began to collect colors of Cotton Classic by Tahki Yarns/Tahki-Stacy Charles, Inc., (1-3/4 ox (50 g), 108 yds (100 m), mercerized cotton, and needed a way to keep track of colors already purchsed, in order to eliminate duplication. The Mitered Square Blanket calls for 40 hanks in assorted colors. 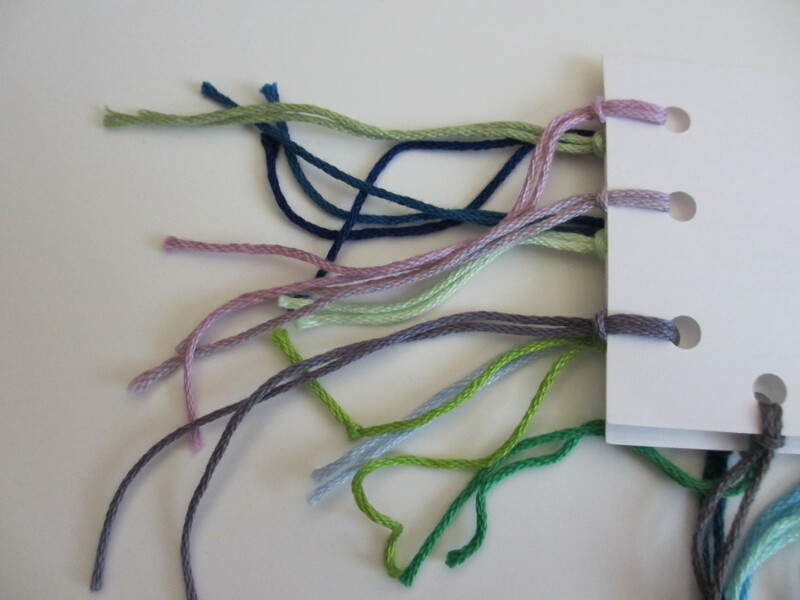 I punched holes on index cards and categorzied the yarn by color. 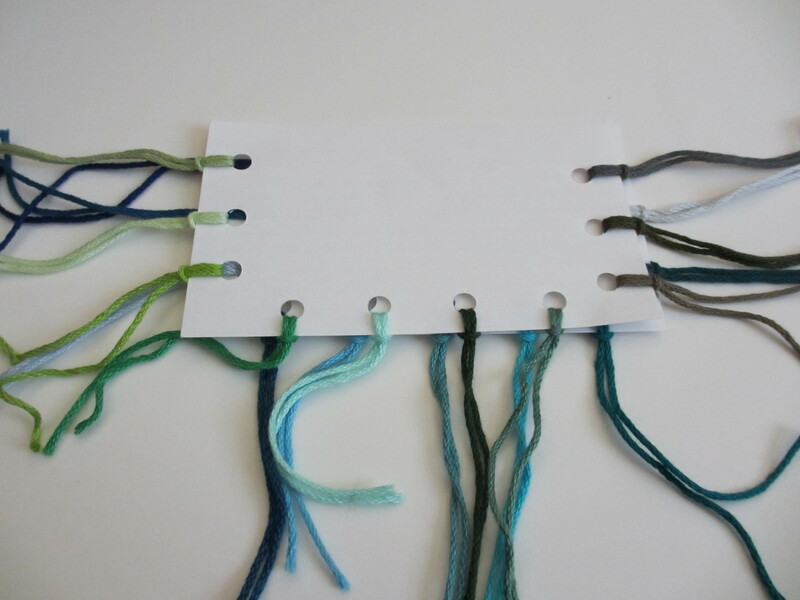 The color-coded cards are fantastic when making color selection and act as a device for playing with color combinations too. I’m playing around with color combinations and plan on making a trip to my local yarn store for more yarn.